I decided to test the Silk-Expert BD5001 by Braun and have been using this hair removal device for over a year already. This should be more than enough time of practical use to come to a conclusion. At the moment, there are many other IPL devices purchasable for the use at home. I wanted to tell you guys about the experiences I made with this device over the last months, so this article will be about how IPL works in general and how the results were for me. IPL stands for Intense Pulsed Light Ellipse System. It means that the device sends out short flashes of light. These flashes are being absorbed by the melanin in the hair which will help to break the cycle of hair regrowth. But unfortunately you cannot use IPL treatment on every skin type. It should not be used on dark skin, psoriasis, neurodermatitis, scars and burns or grazings. You also need to be careful with tattoos and liver spots. IPL does not work for light blonde, red or white hair. For facial treatment the Braun Silk-Expert should only be used by women, but do not use it for the area around the eyes! The bulb on this device does not need to be changed. There are some IPL devices where the bulb is changeable. Braun says the Silk-Expert lasts for about 6-10 years for full-body treatments and equivalently longer when used on single chosen areas like only the legs, arms or bikini zone. 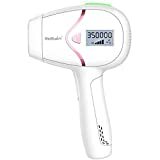 1 Tria Beauty Hair Removal Laser 4X – FDA cleared and portable home use - Fuchsia 556 Reviews $449.00 SHOP NOW! 2 BoSidin Facial & Body Permanent Hair Removal for Women 47 Reviews $139.99 SHOP NOW! 3 BoSidin Facial & Body Permanent Hair Removal for Women 37 Reviews $169.99 SHOP NOW! First, remove all hair on the areas that need to be treated. Also, there is no need to let the hair grow out compared to waxing or epilating. In my opinion this is an advantage over those treatments because I never liked the in-between stage. When plugging in the device, the Braun Silk-Expert switches on directly. You can either press the big button once for receiving a single flash or press it down constantly for continuous flashes. Unfortunately, there is no toggle for the continuous flashing, which I would have needed many times. I always had to change the finger I used for pressing down the button, because it was really tiring. You softly press the part where the flashes emerge completely onto your skin. The side-LEDs show if you have properly placed the device on your skin and it also allows you to see how strong the flashes will be for this area’s particular skin tone. It also has a small button for a sensitive modus that gives out smaller impulses. This modus is made especially for sensitive skin. I directly started the treatment with the bigger button for the full intensity of flashes. To try it out I started off with the lower leg. It took me 30-40 minutes to treat both my lower legs. The treatment itself is painless. I could sometimes feel a little prick, but compared to epilating and waxing the IPL treatment is s piece of cake. But it was actually quite difficult to see on which areas I had already placed the device on. For this reason the other two treatments are a lot easier, because you can see where the hair is gone and where not, but not as painless. This problem was mostly caused because I stopped looking where I was going on some point. I did not trust the IPL treatment concerning my eyes. Even though Braun says that these flashes of light are harmless for the eyes, I still did not want to look into them directly, which made the treatment a lot harder to trace. While treating your skin, the device gets warm. But don’t worry. It was not as warm as me not being able to touch it anymore. You can notice the warmth emitted from the flashes on your skin, but I never thought of it as unpleasant. I stopped the treatment for a bit after finishing the first leg to let the device cool down a bit. If you have sensitive skin you should wait a few days before doing hot baths, visiting the sauna or sunbathe after treating your skin with an IPL device. My skin was a bit red for about 10 minutes at maximum, but normally I did not notice anything at all. Overall my skin got along well with the IPL technology. When I epilated or waxed my skin, I always had irritated skin and was not able to wear a skirt or short pants, because it just looked awful. I needed to wait for at least one day for the red dots to disappear. Braun recommends the use of the IPL treatment on a weekly basis for the first three months. Afterwards you can switch to a monthly dose of “lightning”. After about five weeks of regular weekly treatment I noticed the hair regrowth reducing. The regrowing hair was about half of its original amount after about ten treatments. I would guess about 70-80% of the original hair not regrowing was achieved after about 15 weeks of treatment. I have brown hair and really light skin so I fulfill the requirements for getting the best results. But unfortunately I had to put the IPL treatment on hold for about two and a half months, because of an operation and its recuperation time. After such a long time I noticed some hair that had stopped growing were coming back. But most of them did not regrow! I guess this shows how important it is to stick with a regular treatment. When you stop your treatment you should not expect the results to remain the same. After over a year of treatment I still use the IPL device once every 3-4 weeks. By now I would say that about 80-90% of my hair has stopped regrowing. Unfortunately I cannot pass on shaving, because you can still see the remaining hair. However, I am still really happy with the results. There is no need to let the hair regrow to a certain length. The skin is not as irritated as with epilating or waxing. For me it was not painful at all. A regular treatment is really important for lasting results. I found the flashes quite uncomfortable for the eyes. There is no toggle switch for consecutive use. I will definitely use the Braun Silk Expert for the further treatment of my skin, because the IPL technology works well for me. Even though my skin had gotten less sensible to the pains of epilating after years of doing that, I can finally stop using this painful treatment. This IPL device is more expensive, but at the same time better for my skin and most of all less painful than epilating. 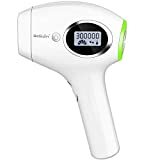 Do you have some experience with Braun Silk-Expert IPL Device?